After a bitterly disappointing weekend, Ipswich Town’s hopes of Sky Bet Championship survival have just been dealt yet another frustrating blow. Paul Lambert’s men were defeated by arch-rivals Norwich City on Sunday afternoon 3-0, and to rub further salt into the wounds, Tractor Boys attacker Freddie Sears, after being taken off before half-time, has been ruled out for up to nine months with cruciate ligament injury. Of course, Ipswich haven’t been the most exciting team to watch this season by any means – the Suffolk club are currently the second lowest scorers in the division having scored just 23 goals in the league this term. But Sears, who signed for the club from Colchester United back in 2015, has probably been Ipswich’s only real attacking threat going forward, and is currently the club’s top goalscorer with six goals and four assists to his name. 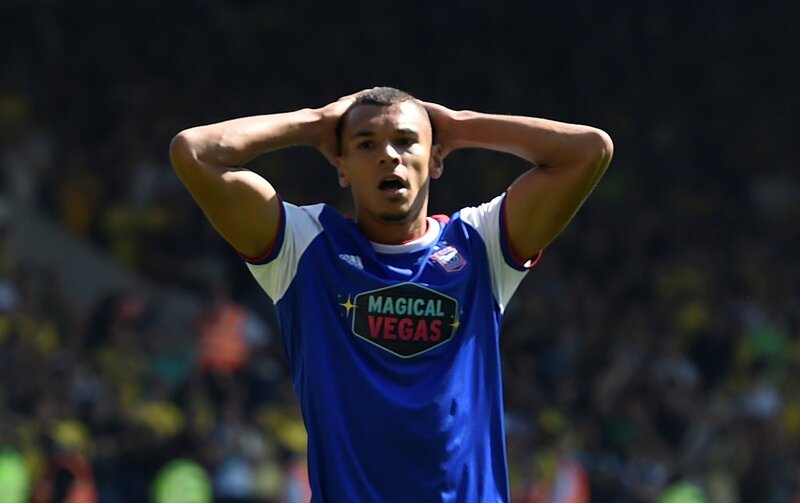 It could be the final nail in the coffin for Ipswich in their hopes for survival in the Championship, but despite sitting nine points adrift of safety in the second tier, this could now provide an opportunity to impress for Kayden Jackson. The 24-year-old was part of a summer overhaul at Portman Road under Paul Hurst, who signed the towering forward from Accrington Stanley, but the striker has since failed to impact in Suffolk. Jackson scored 16 goals in 49 games for Stanley last term as he helped the club to promotion from League Two, but he has failed to replicate his form in front of goal this season, scoring just four goals in 26 games in all competitions. But the injury to Sears could pave the way for the 24-year-old to make a definitive impact at Portman Road, and although they are different type of players in terms of size, he possesses real pace and power that could be beneficial up top for Ipswich. After failing to start under Lambert for well over a month in the league, he’ll be desperate to make an impact now.